Elderly homes on Tortola and Virgin Gorda will soon undergo needed emergency repairs to their structures which sustained extensive damage following the passage of hurricanes Irma and Maria. The repair works are being funded by the Pan American Health Organisation (PAHO) Health Emergency Department and will seek to achieve the Smart Health Care Facilities standards thereby reducing operating costs and making the facilities safer for residents and staff. A contract was awarded to Quality Construction Ltd. by the Pan American Health Organisation on December 18, 2017 in the amount of $292,607.78. The monies will finance the repairs to the roof of the buildings including their replacement and strengthening, as well as other non-structural components such as increasing bed capacity, installation of energy efficient fixtures and fittings, improve lighting and water efficient toilets and faucets. A second contract was awarded to Construction Engineering Systems Ltd. on January 5 in the amount of $95,457.51 to address similar repairs to the elderly home on Virgin Gorda. In addition to the contract signed with the local contractors, PAHO has also agreed to purchase material in the amount of $76,019.32 from Clarence Thomas Ltd. to support the repair works for both facilities. 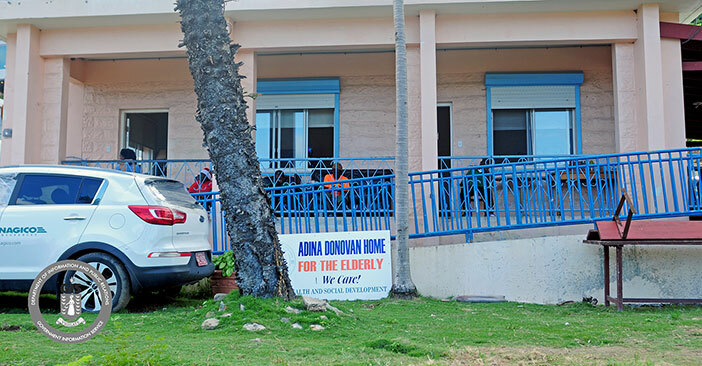 Minister for Health and Social Development, Honourable Ronnie Skelton said the Government of the Virgin Islands was pleased to receive the support from PAHO and explained that the elderly homes had been identified as priority facilities to receive urgent attention. PAHO’s Principal consultant Ronnie Lettsome is overseeing the works on the ground to ensure they meet the required standards for safety in the structural and non-structural elements. The works on both facilities are expected to be completed by end of February 2018. PAHO has also committed to providing equipment and supplies for both facilities. The organisation’s contributions to the Ministry of Health Recovery Action Plan are expected to total $1 million dollars.